The college and university believe in celebrating the accomplishments of our outstanding faculty and staff members, students and alumni. Below are nomination forms and deadlines for a variety of awards presented throughout the year. College of Design awards will be presented at our annual Awards Day in spring 2019. Administrators, faculty, staff and students may nominate colleagues, teachers and students for the following annual awards. Download and print the nomination forms below. Completed nomination forms are due to the Administrative Office, 146 Design, by 5 p.m. on Friday, Dec. 14, 2018. 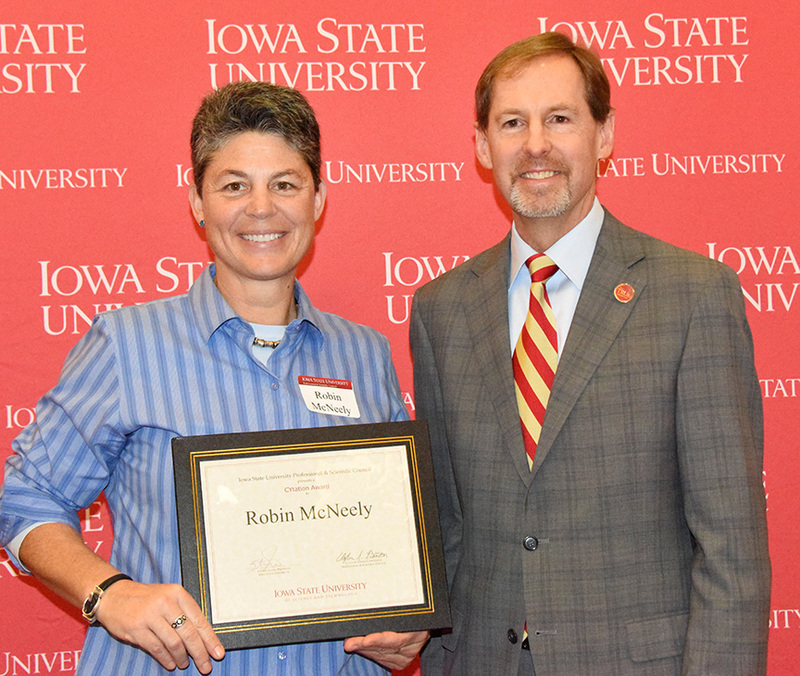 A number of prestigious awards for faculty, staff, students and alumni are presented by Iowa State University each year. Calls for nominations come from various units (ISU Alumni Association, ISU Provost’s Office, P&S Council and the College of Design). Although many nominations are open to all, the college requests that you submit your nominations for faculty awards to the Administrative Office, 146 Design, by 5 p.m. Friday, Dec. 14, 2018, so the Faculty Development Council will know who is being nominated and can provide support for your nomination(s). Nominations for staff awards should also be submitted to the Administrative Office by 5 p.m. Friday, Dec. 14, 2018, to allow the college’s P&S Council to review and rank nominations prior to submission to the university. College deadlines are intentionally set earlier than the administering units’ deadlines to allow for internal review.